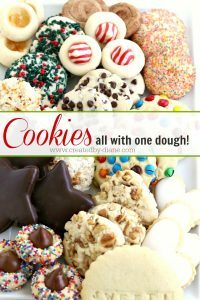 You’ll find all the info on this page to order my ebook Cookies All with One Dough. The page takes a few seconds to load. If you’re having trouble loading the page, just refresh the browser for secure online ordering. Thanks!